Cooking recipes and ingredients in Kingdom Hearts 3 are all a part of a minigame you can play. 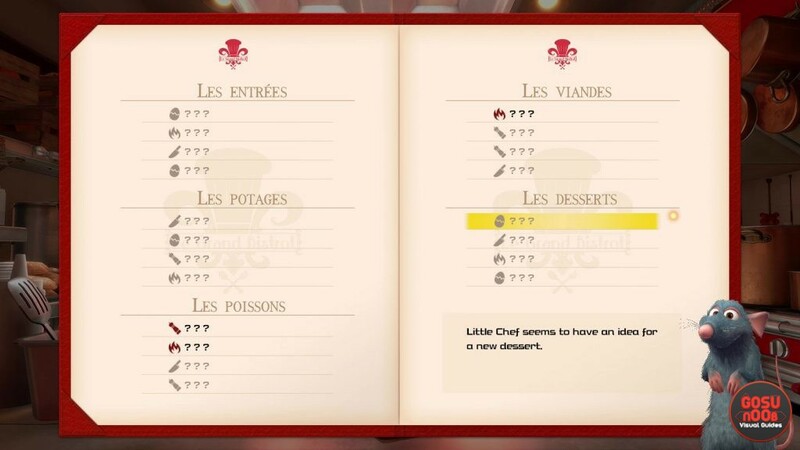 You can prepare recipes in Remy’s Bistro in Twilight Town. Most ingredients in Kingdom Hearts 3 are relatively easy to find by exploring the different worlds. But, there are also special recipes, that require rare ingredients that you really have to work for. If that’s all a little to complicated for you, you’re in the right place. Our Kingdom Hearts 3 Cooking Recipes & Ingredients List guide will show you all the different dishes you can prepare in the game, as well as which ingredients you’ll need to make them. Almost all cooking recipe ingredients in Kingdom Hearts 3 can be found in the different worlds you’ll visit. Most of the time, you can find them in takeaway boxes, baskets, trees, and so on. Then, there are also some special, hidden recipes. Each one of these is going to require at least one ingredient that you can only get from the Flantastic Seven pudding-looking Heartless. For more info on those, check out our Kingdom Hearts 3 Flantastic Seven Locations and Rewards guide. Let’s dive into the recipes, shall we? So, that’s our list of Kingdom Hearts 3 cooking recipes and ingredients. We might be missing some info, and we’ll update the guide as soon as we find it out. Feel free to help us out in the comments. And, you can check out some of our Kingdom Hearts 3 guides, including Soothing & Lucid Gem, Shard, Stone, Crystal Locations and Damascus Locations – Where to Find Material.